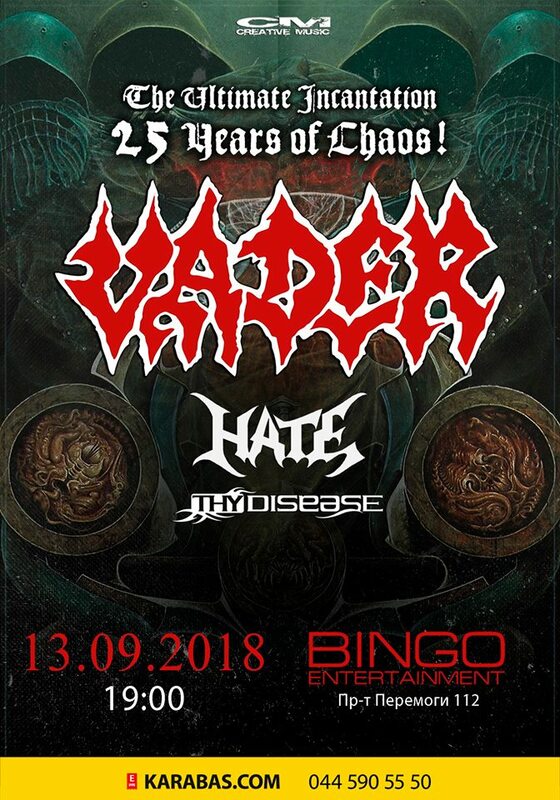 Three Polish metal bands Vader (death metal), Hate (death/black metal), and Thy Disease (industrial groove metal) are to perform on Thursday, September 13, in Kyiv, Ukraine. The event will be held as a part of "The Ultimate Incantation 25 Years of Chaos: Battering the East 2018" tour. "A unique opportunity to see three stars of the Polish metal scene at one show", promoters. The concert will take place at the "Bingo" club in Kyiv. Tickets from 450 to 700 UAH are already available for order here. Event on Facebook.